White King, Leanda de Lisle‘s biography of Charles I, won the 2018 Historical Writers’ Association Non-fiction Crown at an awards ceremony earlier this month. Historia talks to the author of this “quietly revolutionary” book. The HWA Non-fiction Crown celebrates the best in historical non-fiction writing. When did you first become interested in history? I can’t remember not being interested in the past – it is full of great stories. Like a lot of young girls I loved horses and had books on the Godolphin Arabian and the Darley Arabian, from whom modern racehorses are descended. I also loved the historical novels of Henry Treece, which were full of battles and adventure. How did the initial idea for White King come about? As a teenager I had loved CV Wedgwood’s trilogy The King’s War, The King’s Peace and The Trial of Charles I, and there seemed to be no thrilling retelling of Charles I’s life and reign. The Stuart period had become unfashionable and I wanted to be part of a new move to reintroduce people to it. People have the impression Charles was a weak and silly man. That is makes him uninteresting and it is also untrue. How do you approach research – and how do you know when you’ve done enough? I just dive in. I start with secondary sources then move on to primary ones, going down the rabbit hole of those lines that most intrigue me. I never feel I have done enough and sometimes – often – the best stuff emerges at the last minute. Did your research for this book turn up anything unexpected? Well, I have quoted several never before published royal letters, but what struck me most was the remarkable character of Henrietta Maria, who has been damned for centuries as silly and frivolous. White King examines Charles I in the context of the people who surrounded him, not least his Queen, Henrietta Maria. How much insight can a biographer gain from the families, friends and followers of their subject? No man is an island – I think we can gain a great deal, and indeed my next subject will be Henrietta Maria and her family. 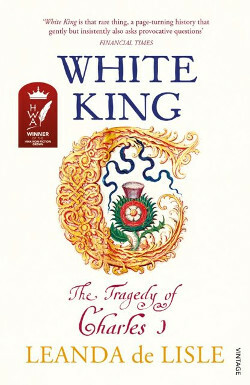 The subtitle of White King has changed, for some editions, from ‘Traitor, Murderer, Martyr’ to ‘The Tragedy of Charles I’. What’s behind that? And has your own view of him altered since you began working on your book? One of my reviewers pointed out that ‘Traitor, Murderer, Martyr’ focuses attention on the end of Charles’s life, while this biography is about the whole of his life and reign. I took this on board and chose ‘The Tragedy of Charles I’ , which was a title we had considered for the hardback but hadn’t considered dramatic enough. That, I now think, was a mistake. Which history books would you recommend to Historia readers who want to know more about this period? Linda Porter’s Royal Renegades, on the children of Charles I, was sadly overlooked when it was published and is a cracking read. Lady Fanshawe’s Receipt Book by Lucy Moore is full of fascinating details about the life of an English gentlewoman during the civil war (she wrote a memoir and left a cookbook). Then there is Nadine Akkerman’s Invisible Agents. This is a an academic book and quite a tough read – but it reveals the most extraordinary stories about female spies and will be a fantastic source for novelists. Imogen Robertson, chair of the HWA, said of this year’s Crown longlists: “Historical writing is an important part of our culture, and also a vital way of understanding that culture.” What insights can Charles I’s life give to our own divided times? I am immensely depressed by our divided times and Charles’s reign is a real warning from history. It is a story about religious justifications for violence, fanaticism, xenophobia, ambition, greed, fake news and the dangers of a fast moving new media, of gendered attacks on high-profile women, and where this can lead. I think it particular it is a warning against those who claim to “speak for the people” and who shout the loudest. Do you think the historical novelist can add to the study of history? Yes – novelists bring people to history and their work is a reminder to those of us who write non-fiction that we are writing about flesh and blood people, and we owe it to them to keep their stories alive. I like to paint scenes that include details of what x was wearing, what the weather was like, how the room in which they were standing was configured, and I quote dialogue. These details all have to be sourced, that is the difference. What’s next for you? Has your interest moved firmly from the 16th to the 17th century? Yes! I am writing a biography of Henrietta Maria and loving it. My agent was worried people would assume it would be just full of the boring bits I left out of White King, but readers are going to be in for a big surprise. 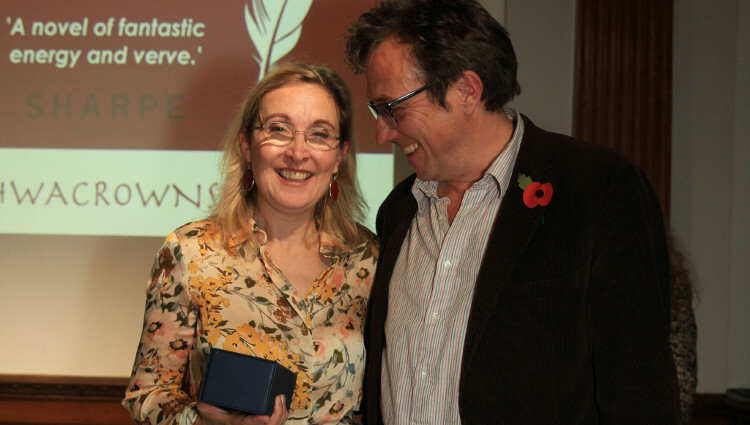 Winning the HWA Non-fiction Crown has been a huge boost to my confidence and I am looking forward to telling a very new story in a very new way. I was born in Westminster, London, Leanda Xenia Dormer. I was named Xenia after Nicholas II’s sister the Grand Duchess Xenia, mother in law of Prince Yusupov, the murderer of Rasputin. I have always been told she was my godmother, although she died not long after I was born so I can’t personally vouch for it. Her grandson, Alexander Romanof (with whom she lived at Hampton Court), was certainly my mother’s lover before she married my father, and the pair remained close until he died. I was brought up in London and my father’s country house in Berkshire. During the war it had been also home to the Norwegian royal family who my great uncle, Cecil Dormer, the British ambassador to Norway, had helped escape the Nazis. I grew up surrounded by mementos of this recent history, as well as the family’s more distant past. Uncle Cecil’s name commemorated the family’s descent from the Cecil family of Elizabeth’s I’s minister William Cecil. I was educated at St Mary’s Ascot and was a rebellious and difficult child enraged by the sexism of the times and constantly being punished for answering back. Somehow I managed to get into Oxford University (where six out of seven undergraduates were male) and read history. I then made a career of answering back as a newspaper columnist (on the Guardian, the Spectator and the Daily Express) and as an author. I have written three Tudor histories and one Stuart history, all of which have, I hope, restored life and agency to maligned women. I write under my married name at the suggestion of an editor who liked its alliterative quality. Leanda de Lisle‘s other books are After Elizabeth, The Sisters Who Would be Queen and Tudor: The Family Story. Read Leanda’s account of the execution of Charles I.